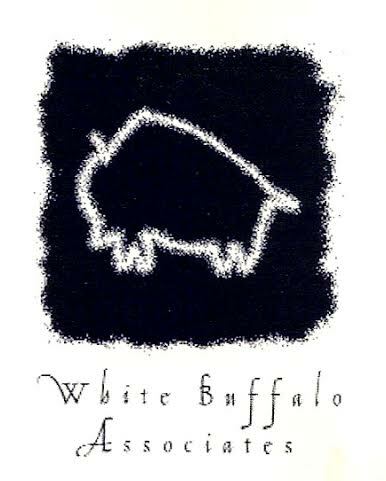 I described earlier how the name White Buffalo Associates comes from my personal story, but it also grows out of the story of the White Buffalo Calf Woman herself, who came first to the Lakota People with the sacred pipe and its message of universal peace, harmony, and connectedness with all life. As told through the generations, the White Buffalo Calf Woman originally appeared to two young warriors, who had been sent by their council to scout for buffalo. While roaming the hills, they saw a beautiful woman dressed in white buckskin and among other things, was carrying a bundle on her back. When she reached them, she told them she was sent by the Buffalo Nation to visit their people and present them with something important for their future. Though one of the warriors did not respect her, the other did, and he took her message back to his people, telling them to make special preparations for her visit. The people listened to the message the warrior brought back, made preparations as they were instructed, and anxiously awaited her arrival. As the beautiful woman came into sight, she carried a pipe – the first the people had ever seen. She explained that they were to use the pipe to bind peace among groups, showed them how to pray with the pipe, and blessed them. Together they smoked the pipe with awareness of their connection to all that lives – to All Our Relations. When they finished, the people watched in silence as the woman left the lodge walking very slowly. As soon as she was outside, she turned into a white buffalo calf and galloped away. Since the late 1990s a number of white buffalo calves have been born in various parts of the United States. Shortly after their births, holy people from First Nations tribes have gathered with others of like hearts and minds in ceremony to honor those calves, whose births are symbols and reminders of the White Buffalo Calf Woman’s call to peace and harmony in all relationships and to a vision of life as an interconnected web of All Our Relations.